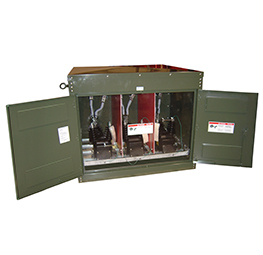 Our 4690 Series of primary metering cabinets were designed to offer utilities an alternative to common primary metering enclosure designs. The compact design of the 4690 allows for conventional dead-front primary metering without the large footprint of traditional enclosures. At 54” x 54” x 45” the 4690 Series answers the space limitation concern often present in urban, underground primary metering installations at 15kV, 200 amperes. Please contact the factory for additional details. The Brooks 7624 primary metering cabinet is a step up from our smaller 4690 Series of primary metering cabinets. 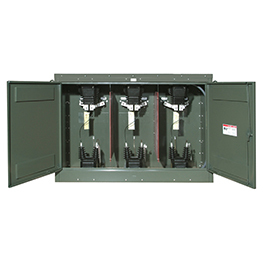 The 7624 provides utilities with a solution for conventional dead- front primary metering cabinets. With its larger size (79” x 54” x 54”) it offers additional capabilities beyond 15kV. With configurations available for 15 or 25kV, 200 or 600 ampere, radial or loop feed you can be assured that the 7624 Series answers your needs. The 7950 Series ELECTRAK with six individual pull-out shelves is designed for higher capacity installations. 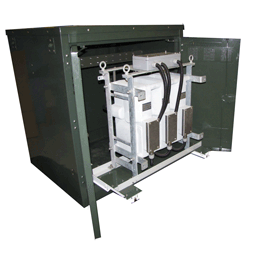 Rated for 15-25kV, 200-600 amperes, the 7950 can utilize any conventional transformer, i.e. ABB, etc. and can be completely pre-wired with transformers before delivery to the site. 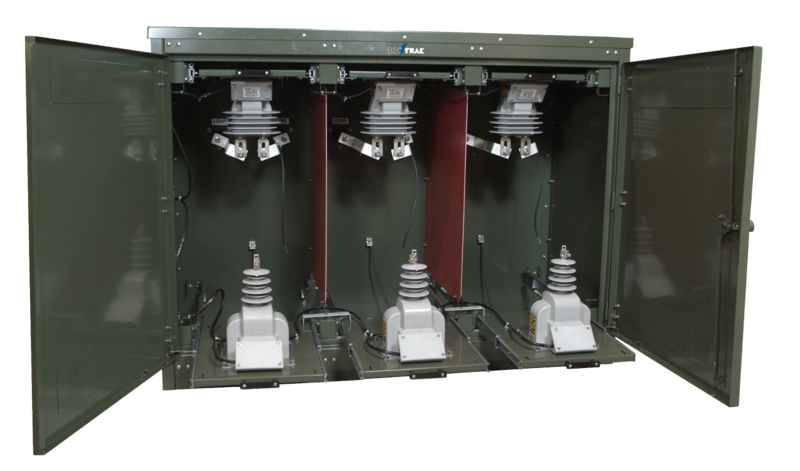 The 7990 Series ELECTRAK is designed to accommodate the SADTEM KYE 15 or 25KV transformer pack, which are easily accessible with a roll-out shelf allowing workers to service the transformer pack without worry of injury. Combined with the compact design of the KYE, the 7990 ELECTRAK has a much smaller footprint for a streamlined profile and extra large doors allowing for easier worker access. The dead front design minimizes animal contact while the fully encapsulated design of the KYE makes it suitable for underground installations exposed to high water threats.